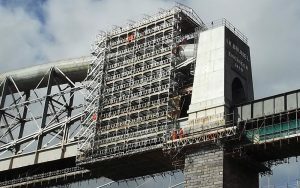 HAKI Scaffolding, Weather Protection & Stair Tower Systems. 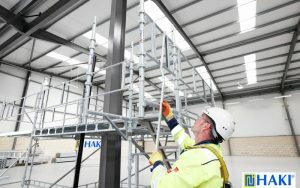 HAKI Scaffolding systems save you time and money with your access solutions and meet work at height regulations. 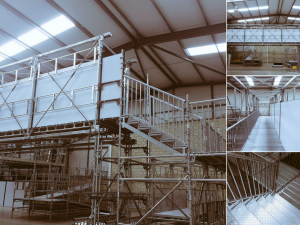 Established over 60 years ago – founded in a blacksmith’s in Sibbhult, Sweden in 1910 – through innovation and development, we now serve our quality brand of scaffolding, weather protection and stair towers across a global network. 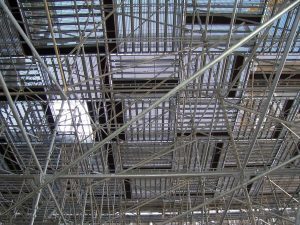 We manufacture and market scaffolding systems for building and construction, infrastructure, processing industries, shipyards, industrial work and offshore sites. 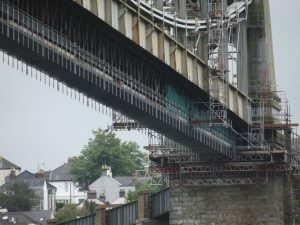 Looking for a safe, dry site? 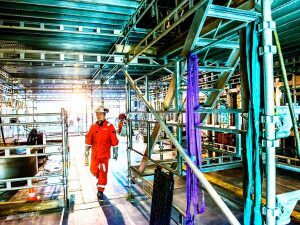 #gethooked on HAKI and boost your productivity. 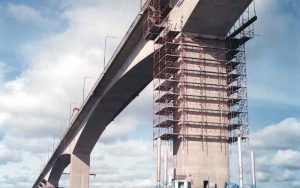 HAKI develops and supplies secure, safe and ergonomic temporary access solutions – like scaffolding systems, weather protection systems, suspended access and shoring systems. 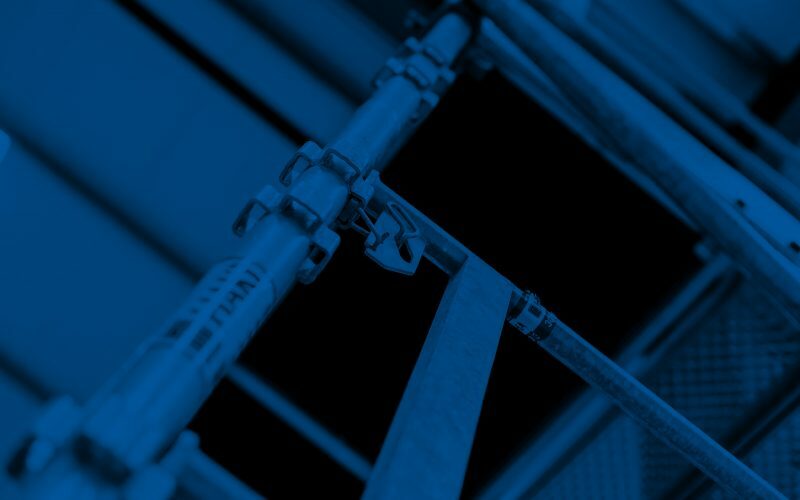 We also offer first class technical solutions, product training, customer support and financing solutions – helping you make the most of your HAKI purchase. 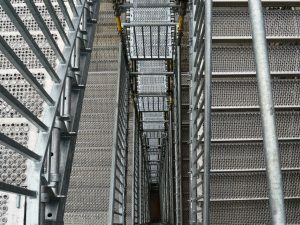 HAKI provided an access solution to Barberens Stilladser A/S using the unique puncheon & beam rider, to cover a pedestrian tunnel for the Køge Nord project. 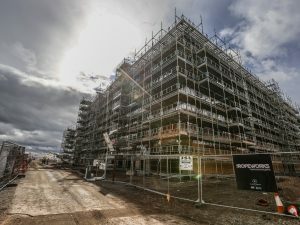 Throughout 2018, a substantial 280 tonnes of HAKI Universal Scaffolding, Stair Towers and Loading Towers – the single biggest HAKI job undertaken by Enigma Industrial Services in Edinburgh – has been erected on the Ropeworks site. 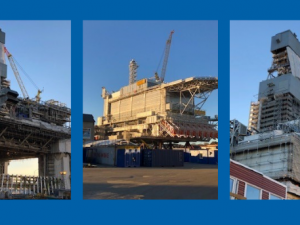 Kvaerner ordered HAKI to deliver 450 tonnes of Universal Aluminium to the Johan Sverdrup project during 2018, to enable contracted works to be carried out. 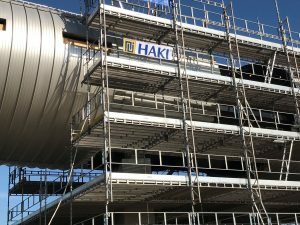 HAKI is a busy global brand – represented from Scandinavia to Australia and everywhere in between. 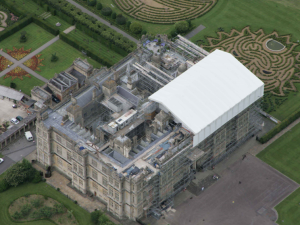 Keep up to speed with HAKI news, projects, product releases and social media platforms here.